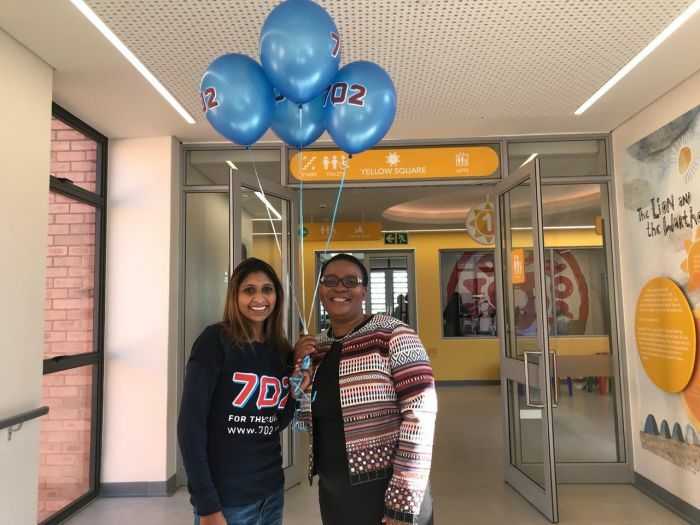 To celebrate the first birthday of The Nelson Mandela Children's Hospital, The Afternoon Drive team visited the hospital on a day that 702 celebrates its 38 years in existence. So we thought of visiting the hospital here in Parktown, Johannesburg today was a must. And what a visit it's been so far. We've been fortunate enough to be taken around the wards by CEO, Dr Mandisa Maholwana. The overwhelming impression one has is of light, positivity, the friendliness of the staff and some very advanced technology. But if you remember being a kid and having to go to the hospital, you probably also remember how intimidating that experience was; the dingy corridors; the clinical starkness of fluorescent tubes in the wards; just a general feeling of fear discomfort. I'm happy to report that the Nelson Mandela Children's Hospital feels nothing like that. It's bright, there's a friendly, comforting atmosphere, there are playrooms in every ward and there's natural light pouring in everywhere. It really fills me with the hope that every child who walks in here facing a personal battle with their own body, is going to get the medicine and the love they need to recover. Dr Maholwana says it has taken a huge effort to get the hospital to where it is. It has taken a huge effort from the staff of NMCH itself, all our stakeholders, government, the academics that we work with, the referring hospitals that we work with, international partners and all South Africans themselves who have helped us put this hospital in place and have it look the way it does today. Tata wanted us to do things differently for our children, he wanted every child to have an experience at this level so that we don't continue to discriminate against those who don't have much. AIC spokesperson Aubrey Mhlongo explains reasons there were delays in passing the Nelson Mandela Bay budget. The DA Gauteng leader explains how Mayor Mashaba suspended Joburg MMC Mpho Phalatse who declared city is a friend of Israel. People think that Jazz is for pauper’s and it’s slow, but believe me, there’s money in Jazz says soul singer Gloria Bosman. Author and journalist Jan Jan Joubert speaks to Eusebius McKaiser about his new book titled 'Who will rule in 2019'. Ladysmith Black Mambazo member Albert Mazibuko shares his memorable moments as part of the Grammy award-winning group. Joburg is packed with places to enjoy your festive feasts throughout the holiday! We've picked out some of our faves! Health Minister Aaron Motsoaledi has denied reports that the hospital is battling financially. This international radio service that helps takes patients' minds off their illness. NMCH interim CEO Joe Seoloane says they'll provide services to all children with special conditions regardless of affordability. The hospital opened on Friday in Johannesburg after years of fundraising, investment and construction, and it is world-class. 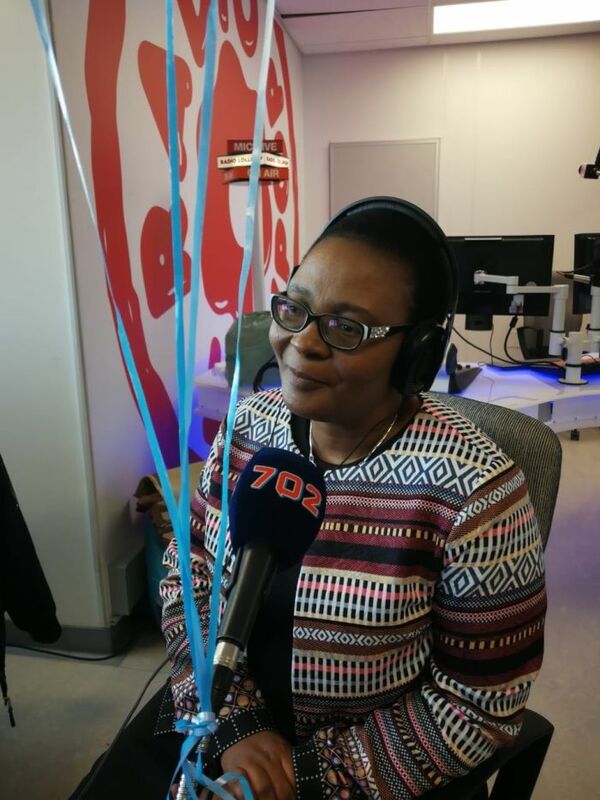 Nelson Mandela Children's Hospital raised R780-million towards the construction of the new facility and acquiring new equipment. A year after the passing of South Africa's beloved elderly statesman, we reflect on Madiba's legacy of a democratic Mzantsi.